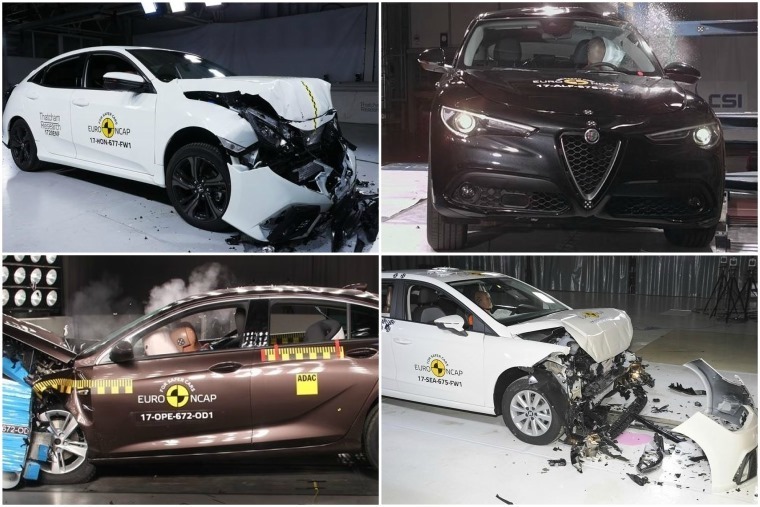 The test team at Euro NCAP have been busy with six all-new cars this month, with the Alfa Romeo Stelvio, Hyundai i30, Vauxhall Insignia, Seat Ibiza and Volkswagen Arteon all receiving the full five stars. The all-new Honda Civic was awarded an admirable four, and they also put a revised Ford Mustang through its paces. But coming away with just three stars, it remains some way off the industry benchmark. 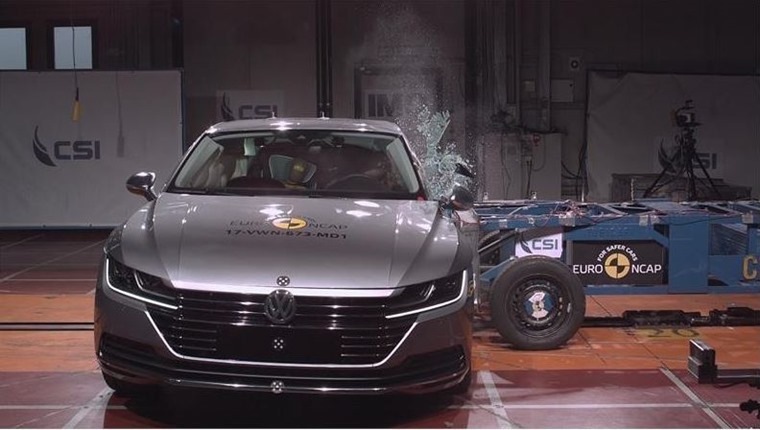 The star of the show was the Arteon, which performed exceptionally in all areas and has become the highest-scoring exec vehicle for pedestrian protection. Elsewhere, Alfa’s new Stelvio SUV also performed well, matching not only the rating of the Giulia saloon, but also direct class-leading rivals like the Volvo XC90. 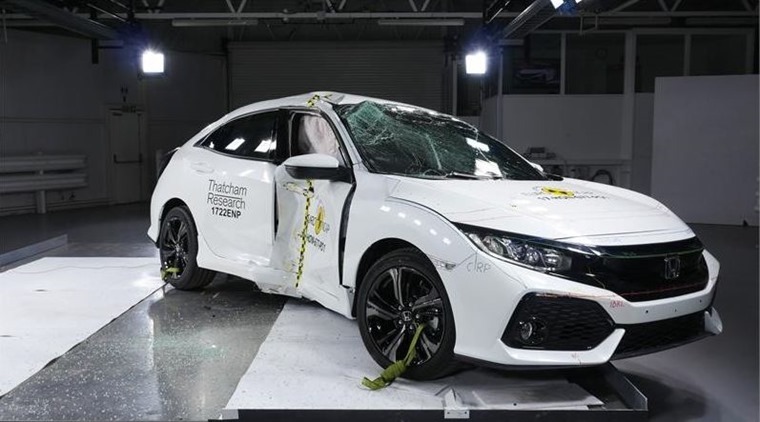 The Ibiza stood out for its high level of standard safety equipment according to testers, and has been heralded as a new benchmark for the supermini segment. It’s all thanks to the Ibiza’s standard autonomous braking system with pedestrian protection – something that’s usually an option in this class of vehicle. 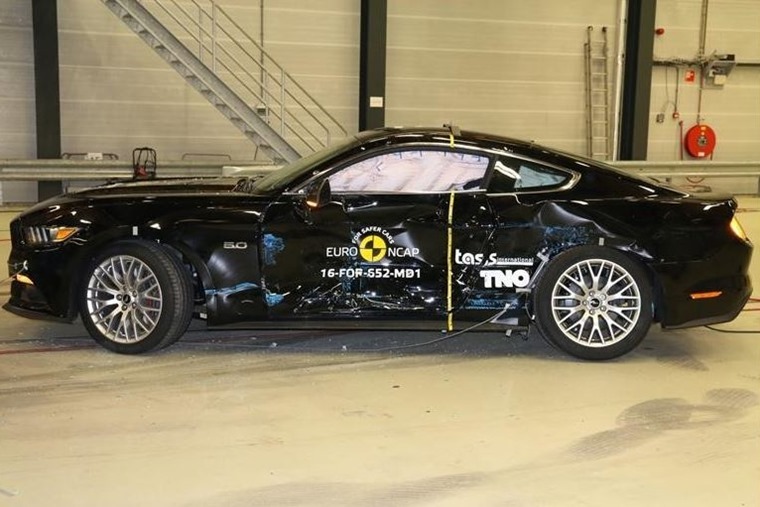 Earlier this year, the Ford Mustang scored a disappointing two stars in Euro NCAP testing. As such, Ford responded by making AEB and Lane Assistance standard on its facelifted model, and also made improvements to the front airbag. Despite this, its low child protection rating still means it attains just three stars. 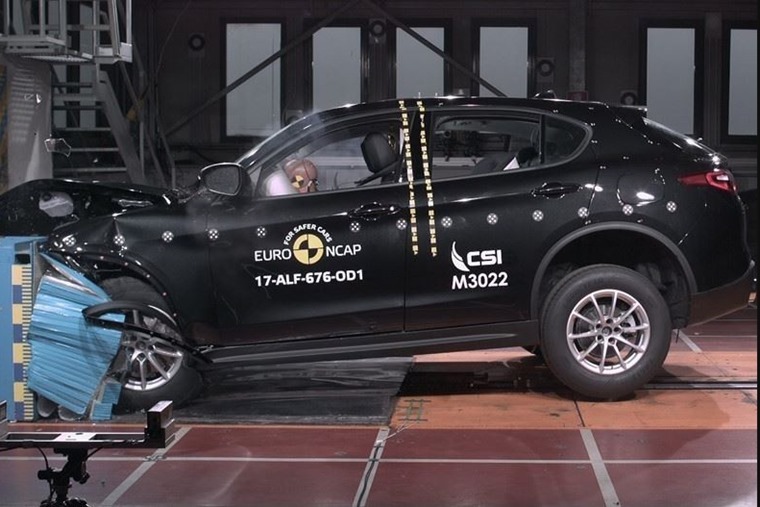 Secretary general at Euro NCAP, Michiel van Ratingen said: “It is good to see that after 20 years Euro NCAP’s call for safety improvement still strikes a chord with responsible companies like Ford.